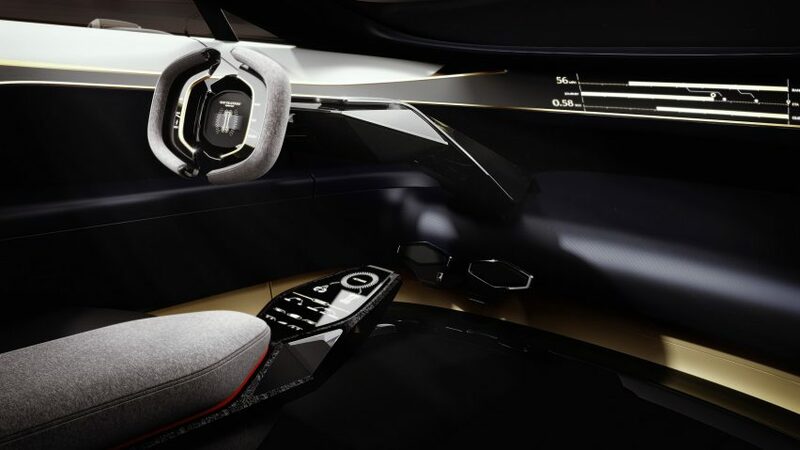 Aston Martin has revealed an all-electric concept vehicle at this year’s Geneva Motor Show, which features a plush interior made from cashmere, silk and carbon fibre. 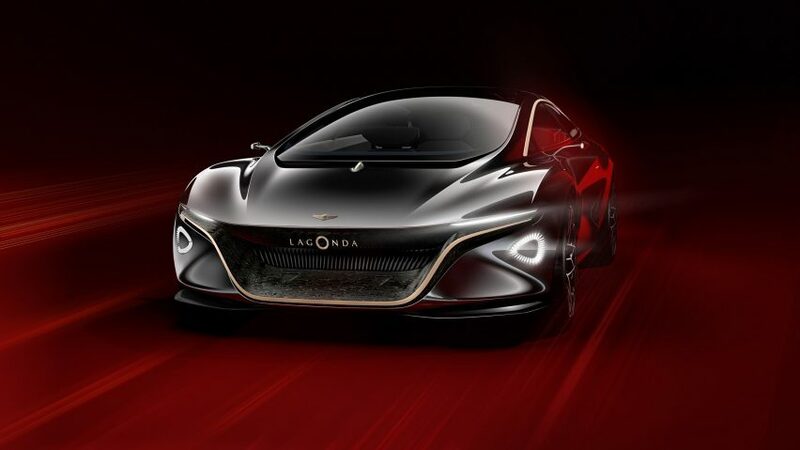 Entirely electric with autonomous capabilities, the Lagonda Vision is the latest model from the Lagonda marque, which was established in 1904 by Wilbur Gunn, before its ownership was taken over by Aston Martin in 1947. It is the first in what will be a whole new range of emission-free luxury vehicles produced by the Aston Martin, which plans to start production as soon as 2021. 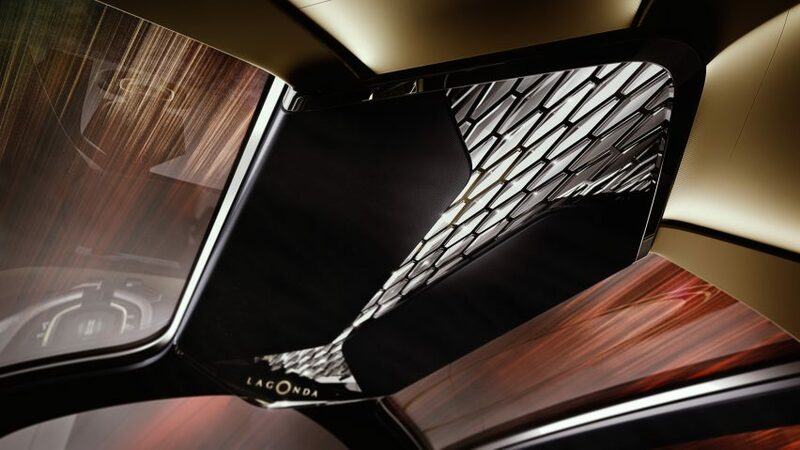 Aiming to fuse “true luxury” with modern design, the new model pairs traditional silk carpets and hand-woven wool upholstery with carbon fibre detailing and functional ceramic tiles, which open and close to control the ventilation and adjust the music volume. “We believe people associate luxury in their cars with a certain traditional and even old-fashioned approach because, to date, that is all that’s been available to them,” said Aston Martin CEO Andy Palmer. “Lagonda exists to challenge that thinking and prove that being modern and luxurious are not mutually exclusive concepts,” he added. 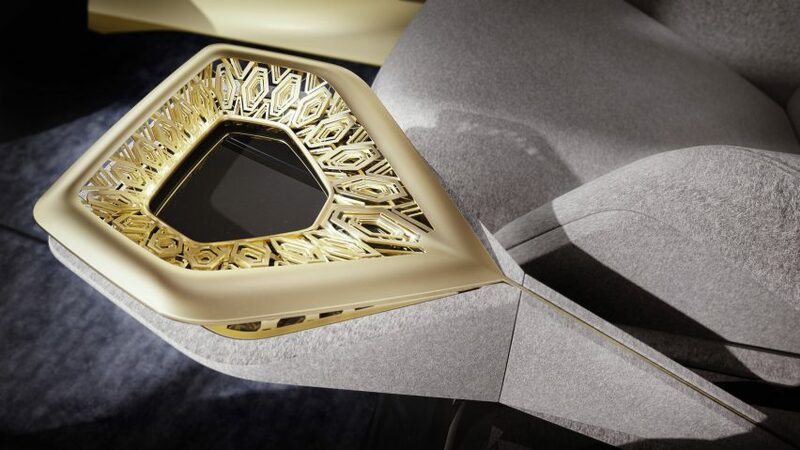 For the car, the brand wanted to create a cabin that differs from anything currently available, while still adhering to the luxurious design language that Lagonda is known for. 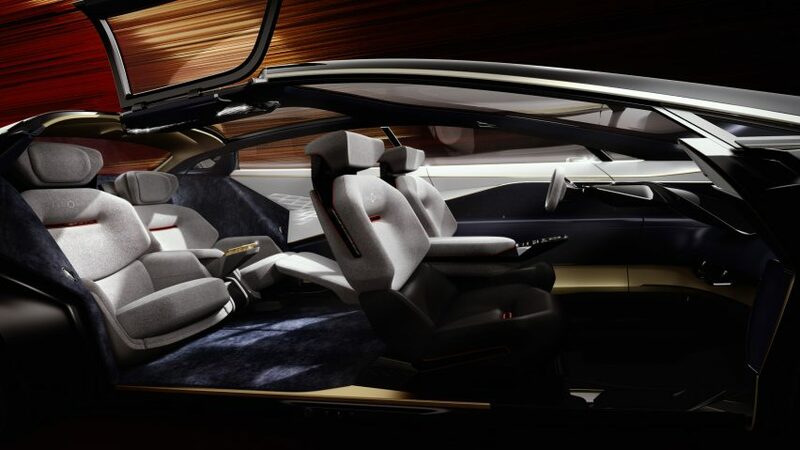 Snowdon’s “unexpected” combinations of materials were applied to the interior, which sees modern materials like carbon fibre and ceramics paired with traditional materials such as cashmere and silks, which the designer claims have rarely been used in the automotive industry. The car manufacturer also enlisted Savile Row tailors, Henry Poole, to create the patterns, cut the material, and design the detailed finishings for the cabin. As the car is electric, it negates the need for an internal combustion engine or gearbox. This meant that the Lagonda designers were able to make use of the interior space, as the electric batteries occupy the car’s floor area. 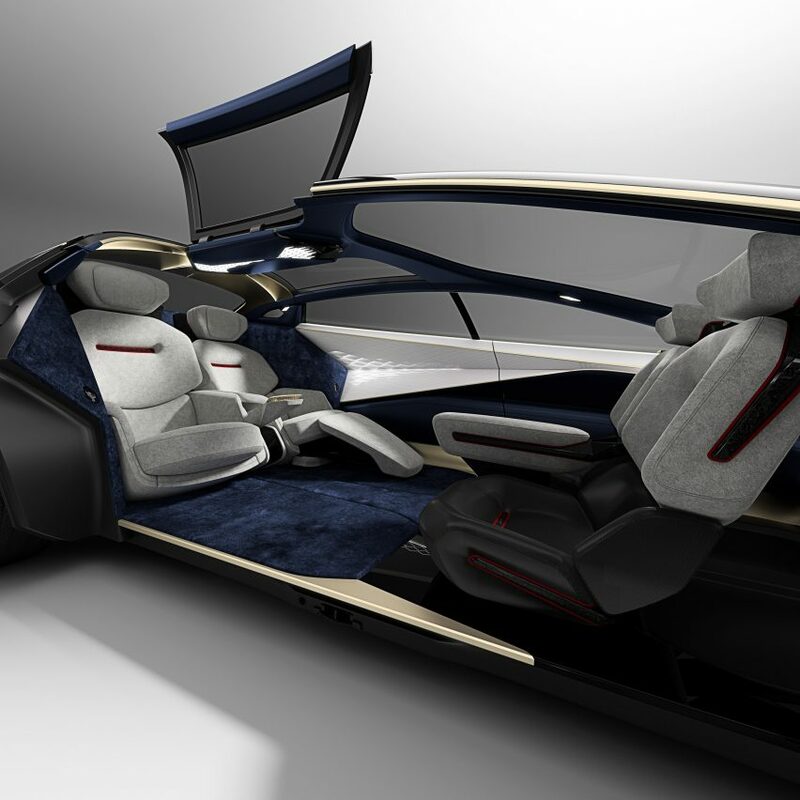 This design also allows for larger apertures in the body, meaning the roof sections can open upwards to provide easier access to the vehicle, as occupants can walk in and out of the car, as well as standing up inside. 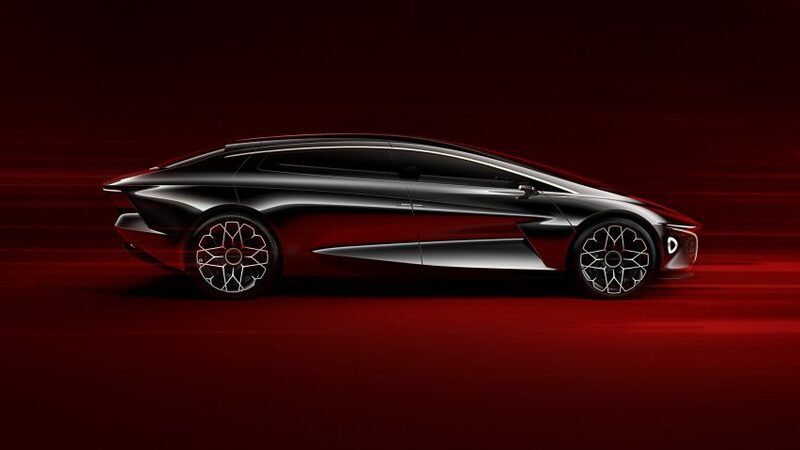 In keeping with level four autonomous driving, the Lagonda Vision’s design incorporates a steering wheel that can either be moved from left to right-hand drive when needed, or that can retract entirely when in autonomous mode. This enables the front seat passengers to rotate 180 degrees to face those in the back, completing the lounge-like interior. The vehicle is able to cover up to 400 miles between charges – a distance that matches the journey between Los Angeles and San Francisco, London to Edinburgh, or Berlin to Vienna without stopping. The concept has also been designed to be compatible with the latest wireless conductive charging technology. 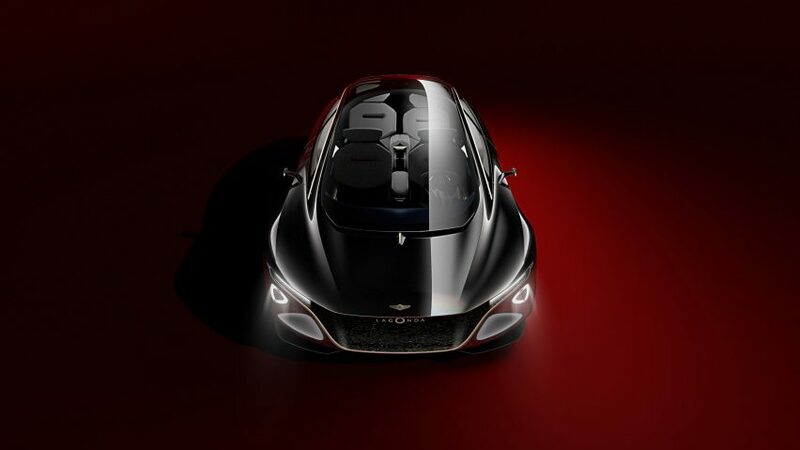 Both the concept and two 40 per cent scale models are being displayed at the Geneva Motor Show – one coupe concept and one SUV concept – to demonstrate how the Lagonda design language could be used for future types, which the brand plans to create by 2023. The Geneva Motor Show takes place this year between 8 to 18 March. Other designs unveiled there include a driver-less Uber-style transport system by Renault and a Philippe Starck-designed smart power dock for Bentley. VLC telecharger is a global, multi-platform media and entertainment company. Powered by its own proprietary technology, VLC telecharger is the go-to source for tech, digital culture and entertainment content for its dedicated and influential audience around the globe.